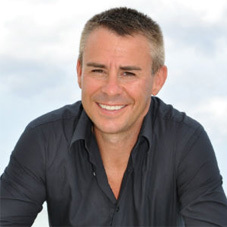 Andy Harrington is The Sunday Times Best Selling Author of Passion into Profit – How to make big money from who you are and what you know. He is also the founder of The Professional Speakers Academy that helps entrepreneurs position, perform and pitch their way to profit. He has shared the stage and worked with the likes of Richard Branson, Donald Trump, Tony Robbins and Bill Clinton. Andy’s passion is helping you realise your potential through building an enterprise that truly makes a difference and leaves a lasting legacy.